Pizza is the heart of the draft menu at Hydraulic Hearth, the restaurant that Harry Zemsky is working on opening at Larkinville this summer. There's a dozen listed, topped with everything from rabbit ragu to tomatoes and lemon zest. Offered in two sizes, they run from $13-$24. There's local shout-outs, including a Buffalo chicken number, and one topped with sausage from Spar's. 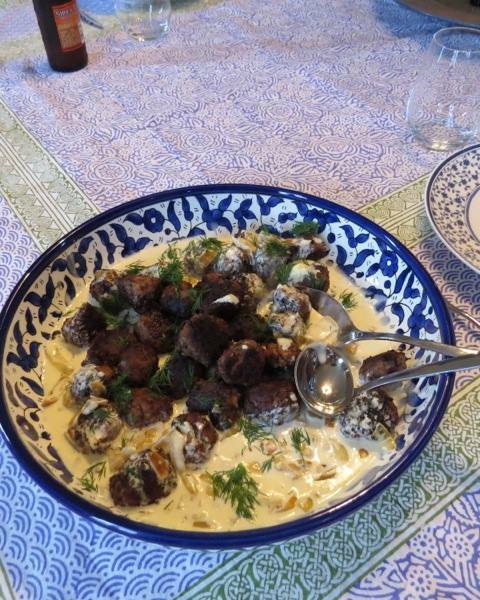 The appetizers include a flavor from far away: Sweden, with the introduction of meatballs in cream sauce with ligonberry. The recipe Zemsky used was inspired by Albright-Knox director Janne Siren, who's Finnish, but said the Finns make meatballs practically identical to their Swedish neighbors' when he whipped up a batch, Zemsky said. Here's something else that's different: a free Public Espresso with every meal. Hydraulic Hearth is under construction at 716 Swan St., with artwork, shuffleboard courts and more being built into a beer-friendly hangout sort of place. It should open in late summer, Zemsky said. "This is definitely a working menu that is subject to many changes as we draw nearer to opening," he warned.